Praise be to God for His goodness and mercy. 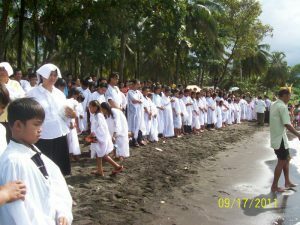 We had our major crusade last week, September 17-24, 2011 in Silay under Negros Occidental Conference. Our speaker was Pastor Jonathan Catolico, the Communication & PARL Director of Southern Asia Pacific Division. 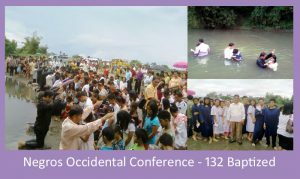 Our hearts are filled with joy and gladness seeing a total of 132 souls who accepted Jesus as their personal Savior and manifested it through baptism. I’m so happy because my Bible students were part of this number (34 souls are my personal Bible Students plus 28 souls who where under me and one layman as my partner for a total of 62 souls). 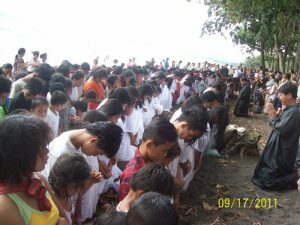 The other 70 souls were the result of the cooperation of the elders and some layman in our District. I still have so many interests to follow up and a lot of newly-baptized to nurture. Six unmarried couples who were our Bible students were solemnized by the Mayor in their marriage here in Gingoog City in preparation for baptism.